The Thompson Seedless grape is California’s most popular. Round, small, and pale green fruit is very sweet, tasty, and very juicy. 100 hours. Self-fruitful. Eat fresh or as raisins. Needs warm summer heat for the fruit to ripen. 100 hours. Self-fruitful. Plant the Thompson Seedless grape vine in the full sun. Train this woody deciduous vine on a trellis, wall, arbor, or post. Plant as close as 6 feet apart. Flowers are self-fruitful but need heat to mature the fruit. Grape vines can be a very ornamental plant in the landscape. Plant in soil that drains well. As a deciduous plant, do not provide supplemental water while dormant in the Winter. Prune grapevines during this time to prepare for Spring growth. Begin to water once plants leaf out in the Spring. Irrigate about once per week. Increase the frequency to 2-3 times per week as the temperature increases in the Summer. 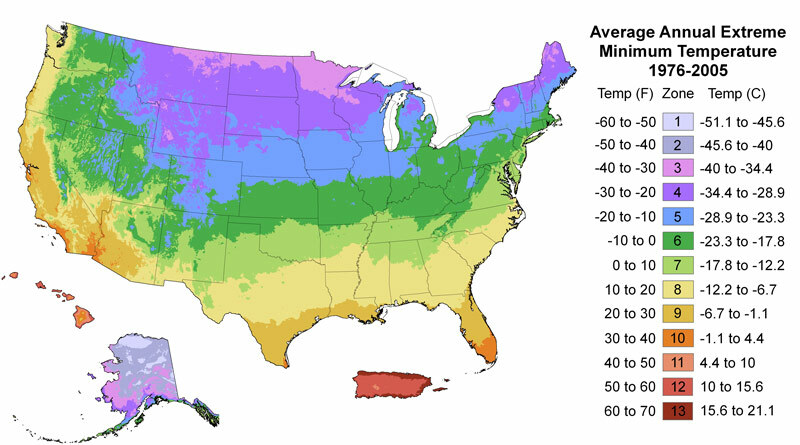 Reduce irrigation frequency as it cools in the Fall. 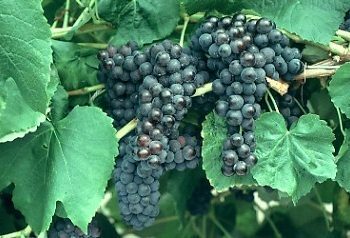 Grape vines can be affected by Fungi such as Powdery Mildew and Rust, so make sure not to keep the soil wet all the time. Use an organic fungicide such as liqui-cop or horticultural Neem oil to prevent or treat for common fungus like powdery mildew. Till the top layer of the soil in the winter and apply some manure along with organic fertilizers before Spring growth. Also fertilize the grape vine in the Spring with a balance organic fruit tree fertilizer with a 1-1-1 or a 2-1-1 NPK ratio, such as (5-5-5)or (6-3-3). Reapply growth formula fertilizer in the Summer. Do not fertilize in the Fall as this the time the tree has slowed growth. Apply a fertilizer with low nitrogen and high phosphorus and potassium with a 1-2-2 or 1-4-4 NPK ratio like a 4-12-12 NPK analysis. The flowers and future fruit of grapevines on new growth are called canes. Flowers initiate on young canes. Prune every year to keep this growth healthy and rejuvenated yearly.